I don't know whether you knew this, but Gibson loves to travel. ...well, not really. He's actually an awful traveler. But I'm sure he'll love it someday! So when I was approached about reviewing Lillian Vernon's personalized kid's rolling luggage, I was excited! If Gibson is going to be a world traveler, he'll definitely need his own suitcase. And what could be cuter than some tiny luggage with my baby's name on it? I love Gibson's new rolling luggage! 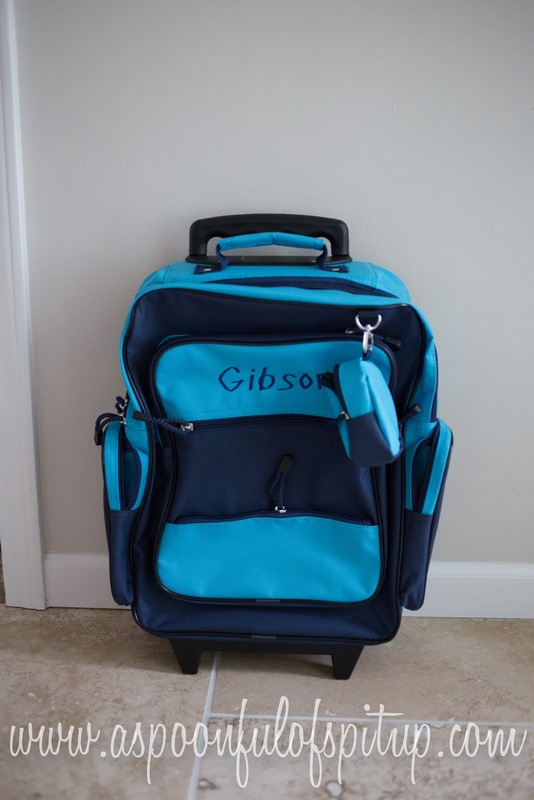 It is the perfect size to fit the clothes and diapers Gibson will need for any short trips we will take this summer...I'm excited that I won't have to pack his things in my bag! Just think of all the shoes I could pack with all that extra room! This luggage has one main compartment, two side pockets, three zippered pockets on the front, and a cute little clip-on pouch. There is a retractable handle in the back, and two wheels so the luggage can be rolled. Gibson isn't quite tall enough to use the handle to roll his luggage around, but he definitely loves pushing the handle up and down! Such a strange baby. 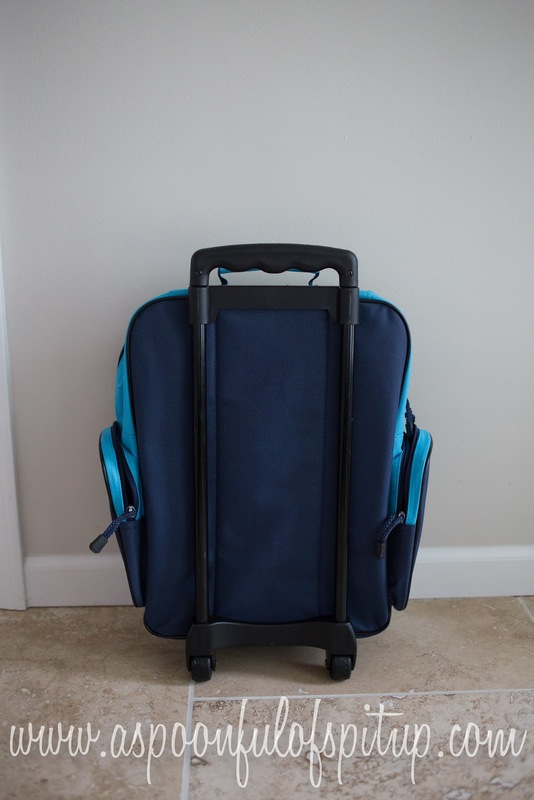 Lillian Vernon's rolling luggage is definitely well-made; the zippers seem strong and zip up smoothly, which I love...zippers that don't work well drive me crazy! From what I can tell, this luggage will last Gibson a long time. My favorite thing about this luggage is that it is personalized! So fun! ...so hopefully Gibson doesn't decide to change his name anytime soon! If you want to get your hands on some personalized kid's rolling luggage, visit the Lillian Vernon website! And while you're there, check out some of the other awesome things they offer. 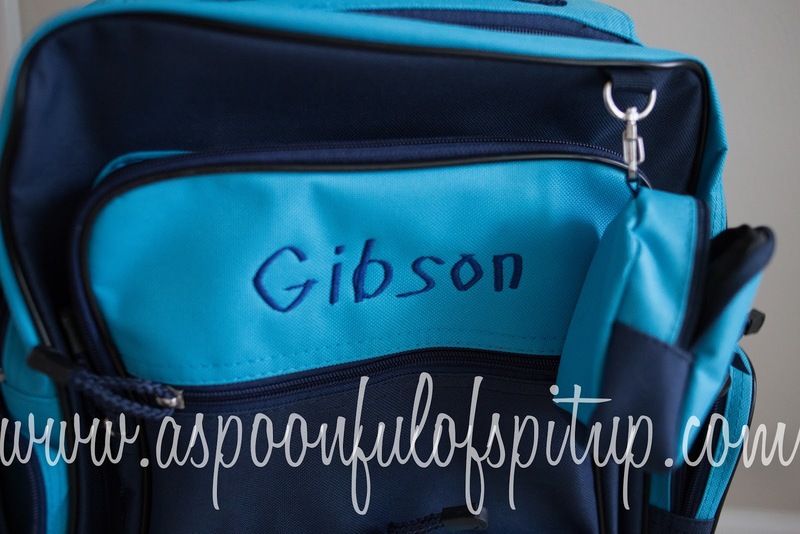 I especially love the shark backpacks...I think Gibson might be needing one sometime soon! And, just for being my lovely readers, you can get free shipping on any purchase you make at Lillian Vernon by using the code 99JAO112. I guess there are perks to reading my blog after all! 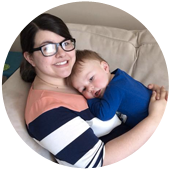 Give the banner below a little clicksadoo to vote for my blog today! And remember to go over and enter the Tiny Elephant Bowtique giveaway while you're at it! Disclaimer: I was not compensated for this review. All opinions are my own!